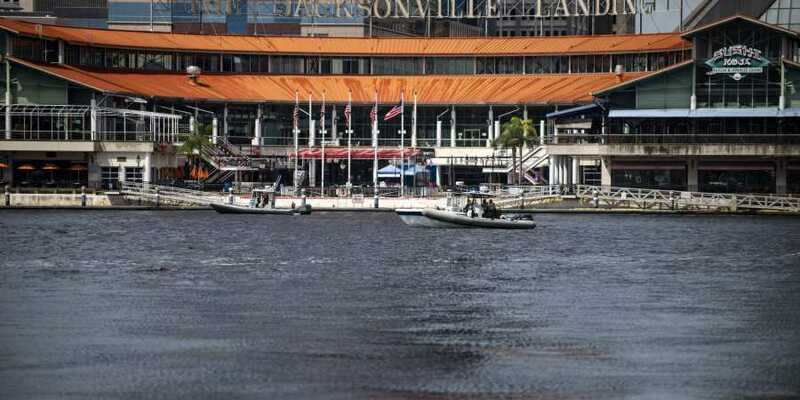 Law enforcement patrols the St. Johns River by boat just outside the Jacksonville Landing where an active shooter was reported Sunday, Aug. 26, 2018 in Jacksonville. MIAMI: Two people were killed and 11 others wounded Sunday when a video game tournament competitor went on a shooting rampage before turning the gun on himself in the northern Florida city of Jacksonville, local police said. Sheriff Williams said the shooting occurred inside the Chicago Pizza restaurant in the complex around 1:30 pm (1730 GMT). “We’re obviously shocked and saddened by this afternoon’s events. Our player, Drini, was hit in the thumb but is going to be fine. He managed to escape and run down the street to a nearby gym,” director Jason Lake told.